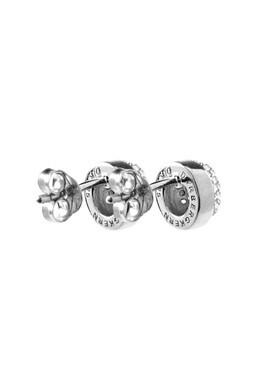 Our exclusive Sterling Silver Collection: Small and beautiful studded earrings with a dome-shape. The earrings are made from polished Sterling silver. 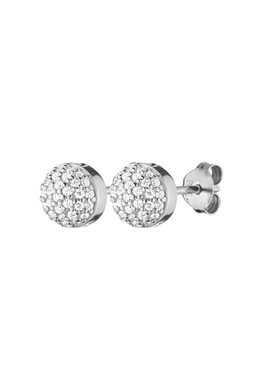 The earrings are adorned with white cubic zirconia crystals. With butterfly closure.